BRYAN EATON/Staff Photo. 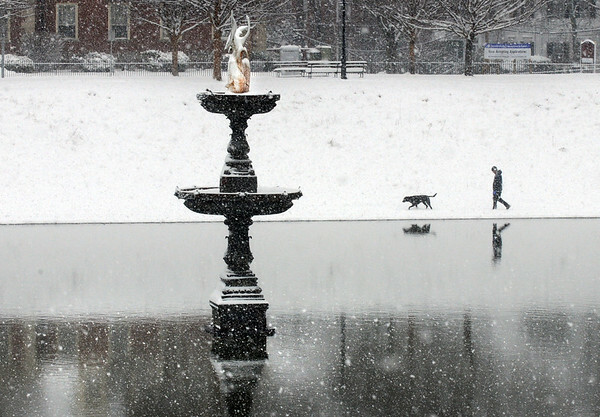 A lay and her pooch walk along the fallen snow at the unfrozen Frog Pond at the Bartlet Mall in Newburyport on Monday morning. Skies cleared later and with the temperature rising to 45 degrees the snow started to melt quickly.